You have great skin and a complexion to die for. But that does not mean that you be lax about your skin care regime. You turn away from regular care and before you know it, your age catches up with you. The first place where the fine lines appear are around the eyes, since the skin around it is really delicate and it gets used a lot when you emote. So it becomes essential to use anti-aging eye creams in order to prevent fine lines and wrinkles and to keep the skin around the eyes plumped up. If you want to know your choices, we list here the 10 best anti ageing eye creams to smooth out fine lines. Pond’s Gold Radiance Youth Reviving Eye Cream is formulated with gold microparticles which help in reviving the skin around the eyes. Its rich composition provides intensive moisture to the skin around the eyes and improves the collagen production. Regular use diminishes fine lines and wrinkles. It is priced at Rs. 599 for a 15 ml bottle. The Olay Total Effects Anti-aging Eye Cream fights the seven signs of aging around the eyes and removes dryness, dullness, marks, pigmentation, fine lines and wrinkles. It enhances the texture of the skin. It is priced at Rs.749 for a 15 ml pot. 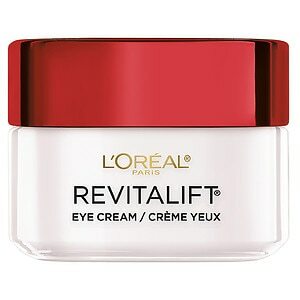 This eye cream is enriched with dermalift complex, pro-retinol A and par-elastyl that helps in tightening the skin around the eyes and also hydrating it. Regular use lifts the skin around the eyes and leaves it smooth and crease-free. Price is Rs.649 for 15 ml. The Lakme Youth Infinity Skin Firming Eye Cream is specially formulated for the delicate skin around the eyes. Its luminizing pearls instantly brighten the skin around the eyes and its anti-aging formula firms up the loose skin around the eyes. It is priced at Rs.475 for 15 ml. This product from oriflame has been specially formulated to target fine lines, wrinkles and discoloration of the skin around the eyes in post-menopausal women. It is priced at Rs. 999 for 50 ml. Neutrogena’s rapid wrinkle repair eye cream is formulated so that it is quickly absorbed by the skin around the eyes and the Retinol in the cream helps diminish spots and fine lines. The hyaluronic acid hydrates and plumps up the skin, thereby erasing the fine lines. Try this product that’s priced at Rs.549 for 14 ml to get smooth skin around the eyes. 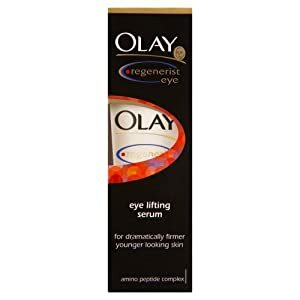 The amino peptide complex in the Olay Regenerist Eye Lifting Serum helps in hydrating the skin around the eyes and in also visibly reducing the fine lines and wrinkles around it. It is lightweight and gets absorbed into the skin easily, providing you instant toning effect. The Vichy LiftActive Eye Cream is enriched with Retinol A and Hyaluronic acid, both of which help in lifting the skin around the eyes and reduces the short term and the long term effects of aging. 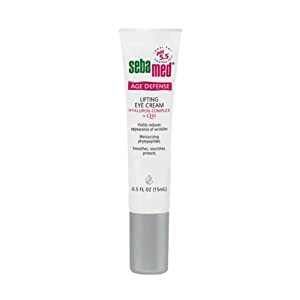 This eye cream comes in a 15 ml tube priced at Rs.1890. This eye cream also boasts of hyaluronic complex and moisturizing phytopeptides that help in smoothing out the fine lines around the eyes and also in hydrating the area around the eyes. It is priced at Rs.800 for 15 ml. The next time you visit Body Shop, do remember to pick this eye cream up. Its Vitamin E enriched complex helps you smooth fine lines and wrinkles as you use it. It also hydrates the skin and keeps the delicate skin around the eyes. Price is Rs.995 for 15 ml.